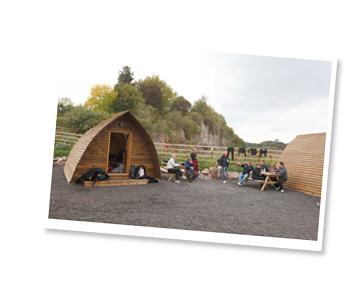 Join the Ghost Fishing UK team for a weekend of diving and socials at the National Diving & Activity Centre. • Bar, raffle, auction, competitions and fundraisers. 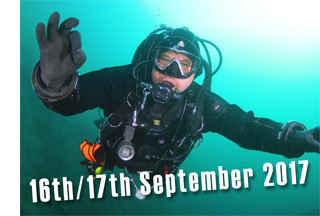 Ticket holders receive discounted diving entry at the gate. This is extra and payable on the day. Please have your eventbrite ticket with you. Ticket holders may apply for limited spaces on the Underwater Workshops. Once you have purchased your ticket, you will receive an email with details of the Underwater Workshops and a link to sign up. Slots for diving workshops with the Ghost Fishing UK team are limited, so first come first served. We will notify you when they are full and start a waiting list. Underwater workshops will be led by the Ghost Fishing Trainers and are free. You will have a taster session of about 25 minutes in water time, of some of the components of the Ghost Fishing course. This includes basic skills, equipment considerations, survey skills and ghost gear recovery. • Minimum SCUBA qualification: Sports Diver/Rescue Diver or equivalent. • Minimum 50 logged dives. • Drysuits only. Adequate thermal protection for cold surface temps/6 degree water. • Own scuba equipment, fully serviceable and in good working order. • Open Circuit only. No rebreathers. • Medically fit to dive and able to sign self declaration of fitness for the event. Please note: Tickets are non refundable. The problem of ghost fishing gear has reached public prominence over the past five years. It is a normal part of fishing that nets, shellfish traps and other equipment becomes lost. This is not a deliberate or careless act on behalf of the fishing community, simply a reality of a very harsh environment. The problem is that the lost gear continues to catch marine life. This has an undocumented effect on the local ecosystem, but is clearly undesirable in any sense. Animals are being needlessly killed. Ghost Fishing was set up to try to remove this lost equipment from the marine environment. It is a challenging and difficult task. Ghost gear is typically entangled in reefs and wrecks, and its removal can be complicated. The technique involves attaching bags to the gear, which the diver fills with air, making them float. The divers then cut the gear free as close to the seabed as possible. Great care is needed to ensure that the diver does not become entangled with the equipment. This involves a high degree of teamwork, coordination and discipline.